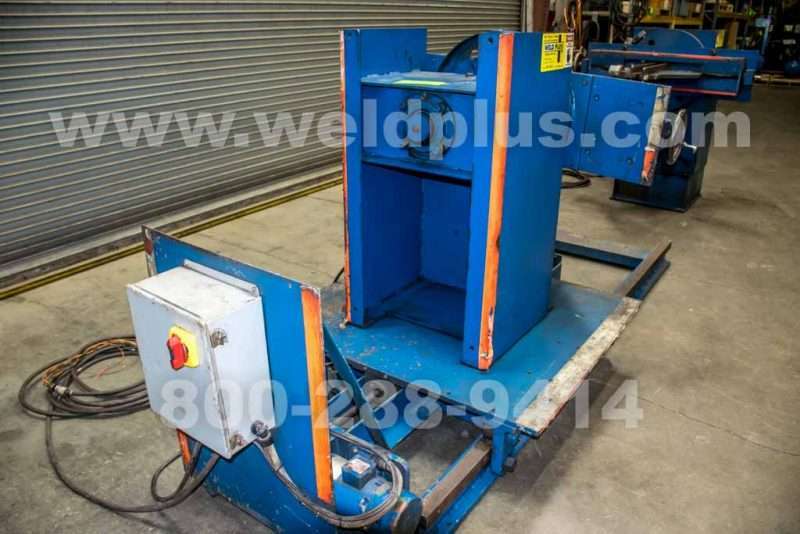 1998 Pandjiris Dual head Beam Welding System | Weld Plus Inc.
Carriages outfitted with: (2 ea.) Cyclomatic seam tracking systems, (2 ea.) 18” vertical slides, (2 ea.) 6” horizontal slides, (2 ea.) Lincoln NA5R controls/heads and (2 ea.) 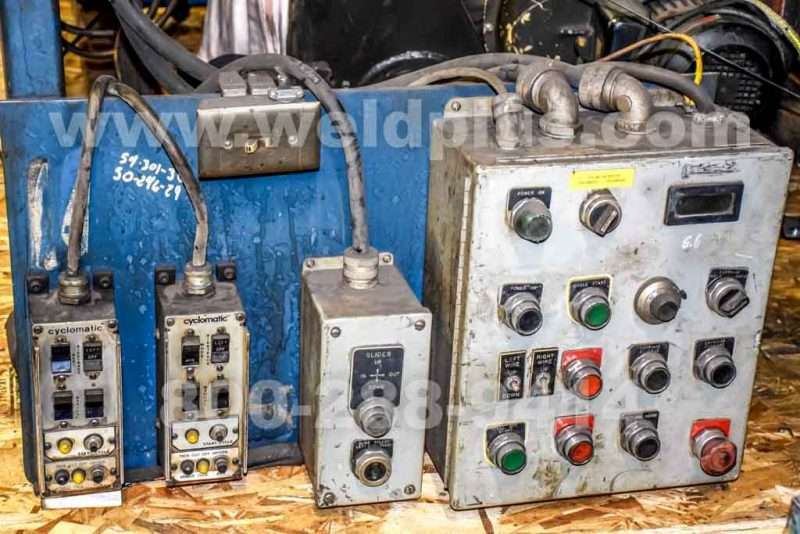 American WeldQuip water-cooled MIG torches. 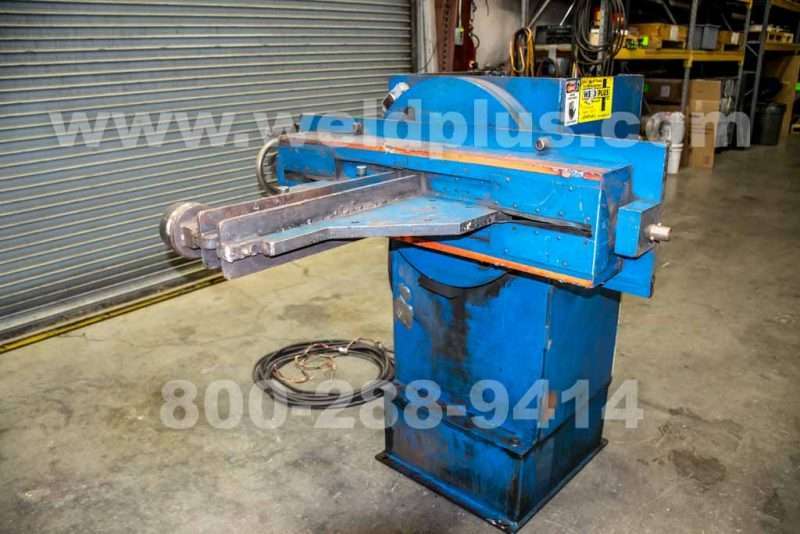 This 1998 Pandjiris Dual head Beam Welding System includes a headstock/ tailstock that is designed for welding beams or booms of various lengths and thicknesses. 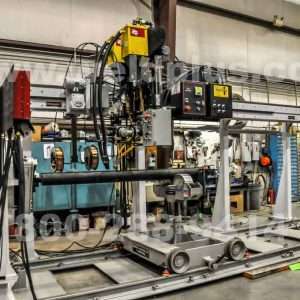 With its Cyclomatic seam tracking system it can follow a joint and make adjustments autonomously while welding. 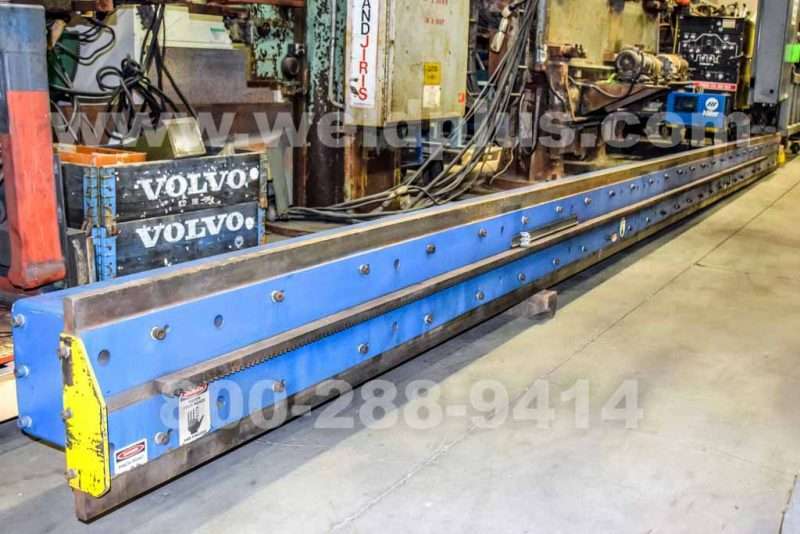 The tailstock is mounted on a travel car to make easy adjustments for various lengths weldments. 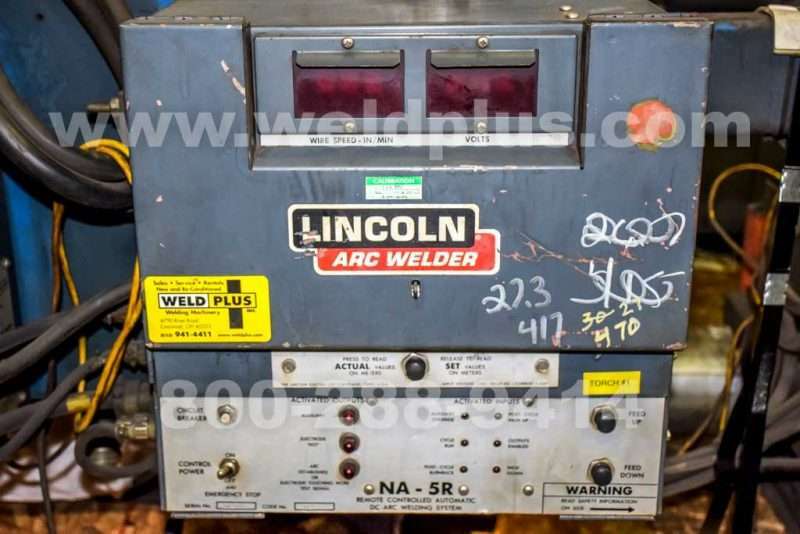 The system is set up as a dual arc GMAW process using two Lincoln NA-5 weld controllers with DC-600 power supplies. 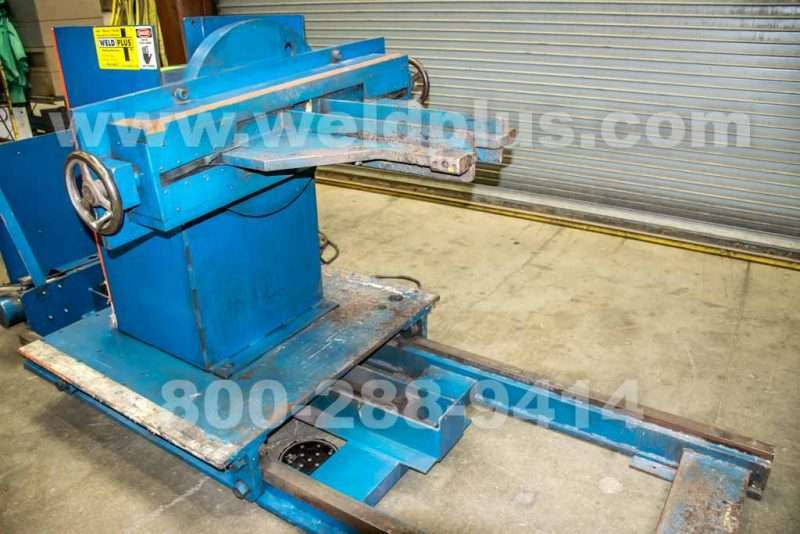 The weld process can be easily converted to submerged arc welding if needed. 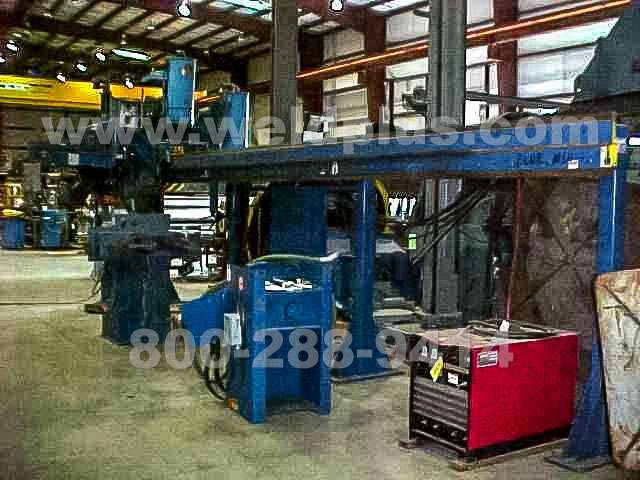 We can also adapt the system to operate with cylindrical weldments.